But understand this, that in the last days there will come times of difficulty. For people will be lovers of self, lovers of money, proud, arrogant, abusive, disobedient to their parents, ungrateful, unholy, heartless, unappeasable, slanderous, without self-control, brutal, not loving good, treacherous, reckless, swollen with conceit, lovers of pleasure rather than lovers of God, having the appearance of godliness, but denying its power. Avoid such people. For among them are those who creep into households and capture weak women, burdened with sins and led astray by various passions, always learning and never able to arrive at a knowledge of the truth. Just as Jannes and Jambres opposed Moses, so these men also oppose the truth, men corrupted in mind and disqualified regarding the faith. ungrateful: not feeling or showing thanks for favors, gifts, etc. Think of how society has changed in the last two generations. Being self-focused, we have alienated ourselves from each other – from support and community. 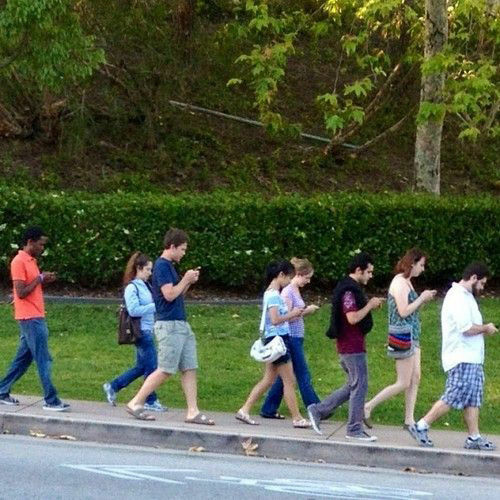 Our mobility, hallmark of these last days, has further removed us from each other. No longer in community, we have lost individual accountability. If I do this, who would know? Or, if people did know, WHO WOULD CARE? Unless it affects them personally, people truly care about very few things. We’re all too wrapped up in shuffling through our own busy lives. Do we notice what is really going on with the people around us? Even those we love? It is clear that God has lifted His hand and given North America, at least, over to its lusts and passions. The list above doesn’t even include our worst atrocities – abortion (this abortion clock estimates 1.5 Billion abortions have been performed worldwide since 1980), homosexuality (see this post – As in the Days of Lot), recreational drug use/addictions, and euthanasia (see this post – DNA and the Tree of Life). A Disclaimer: The Bible is infallible. I am not. Be a Berean – examine the scriptures to see if these things are so!